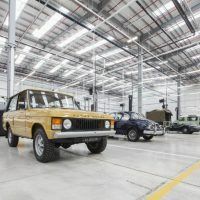 Jaguar, along with corporate sibling Land Rover, have been doing the factory refurbished thing for a while now. They join the growing trend of auto manufacturers keeping the original flame burning for those who desire, or can afford, factory originality. Their latest press release is slugged as being from “Ryton-on-Dunsmore, UK” and believe me, it only gets more quant and British from there on in. And it’s not like Jaguar is doing this on purpose or to hype things up, this is the way they naturally are. And, let’s face it, Jaguar is about as British as a marque can get. And since the British are an everso proper lot, you can’t have your factory classics department taking up an old out building, can you? Oh no, no-no-no. One shant do that. 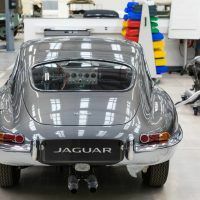 No, if you’re Jaguar, you’re going to open your own special refurbishment “factory” or “works” as they call it in their own charmingly Anglo-centric way. As any gearhead with a project car (or cars) will tell you, you never have enough garage space. You always need a bigger workshop. 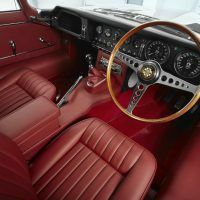 Jaguar, heeding this well known Truth of the automotive world, went big. 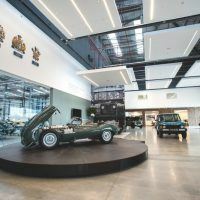 The Jaguar Land Rover Classic Works facility tips the scales at a staggering 150,000 square feet. 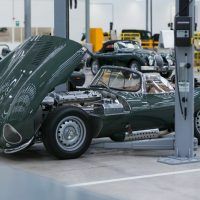 Jag says it’s the largest of its type in the world, with a dedicated showroom and a whopping 54 workshop bays for restoring and servicing all older Jaguar and Land Rover models. 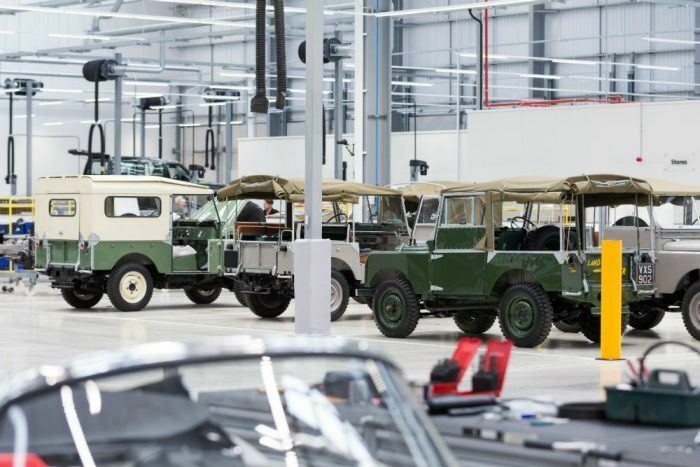 The Classic Works is also home to the Jaguar Land Rover Classic Collection of more than 500 vehicles. 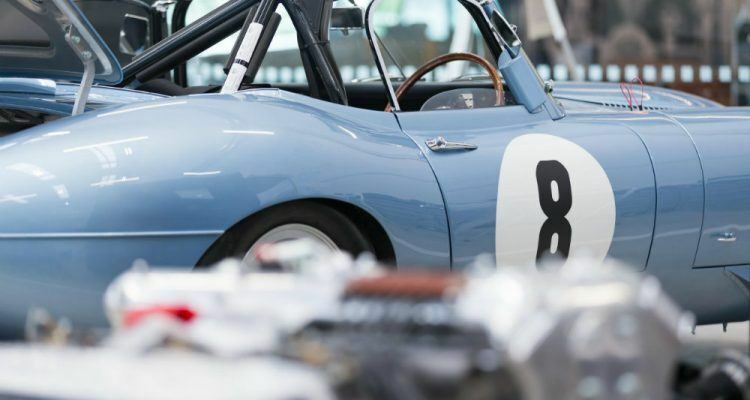 Jaguar foolishly points out the cars in the collection are also available for loan to car clubs and museums. This makes me wonder if we could turn Automoblog into a “museum,” but I’ll leave that for management to work out. 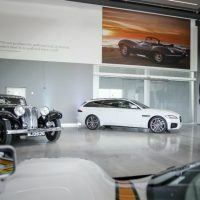 Now if you’re rich enough – I have no idea how rich you need to be – but far be it for Jaguar to be so gauche as to mention costs, dear boy – the lineup of available classics to buy is very impressive. 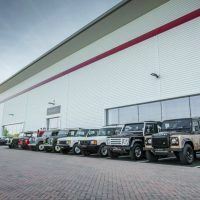 Classic Works offers the full range of Legends vehicles including the nine “new” examples of the XKSS, the “Missing Six” Lightweight E-type continuation models, the two-door Range Rover Classic, the 10 Series 1 E-type cars, the Jaguar E-type Reborn, and full restoration services for clients. 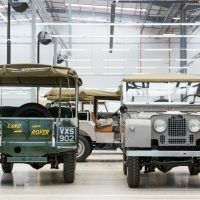 Land Rover Reborn Legends. Photo: Jaguar Land Rover. 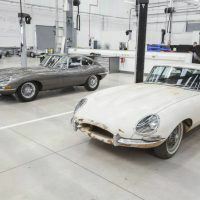 And Jag is not kidding around about stuff like restoration, repair, and maintenance. Literally all models out of production for 10 years or more are welcome to the spa treatment at Classic Works. 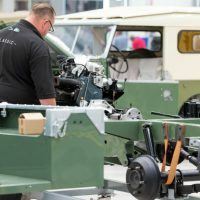 From the XK120 and XK8, to Land Rover vehicles like the Discovery and Freelander from the 1990s; you own it, you love it, so bring it on by and your automotive needs will be attended to. Jaguar is thorough and professional to an exceedingly high level too. When your car is delivered to the Classic Works facility, it gets a comprehensive 121-point visual inspection. 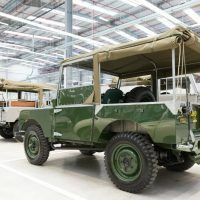 This generates a report detailing any work required and, as the work is carried out, it’s recorded in a Jaguar Land Rover Classic Works Service Book. 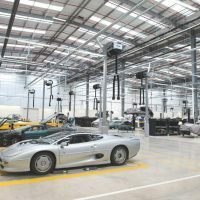 Oh, and here’s an interesting little add on: There’s a dedicated XJ220 servicing section operated by Jaguar supercar technicians, some of whom supported the XJ220 program during production 25 years ago. They use tailor-made service tools for the 212 mph supercar. This is good because the XJ220 has service requirements slightly more involved than an Aérospatiale/BAC Concorde. 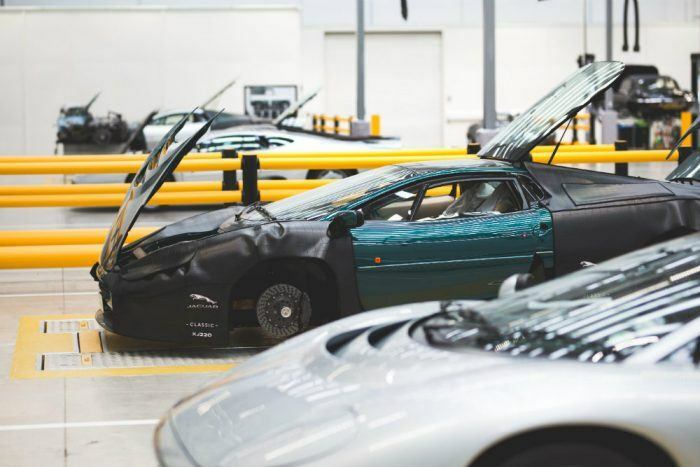 Jaguar XJ220 servicing and maintenance bay. Photo: Jaguar Land Rover. And if you think this is all about making old cars good as new, you’d be wrong. Sadly, gloriously, unforgettably wrong. 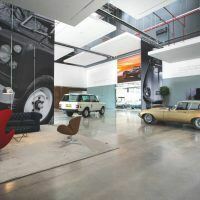 On top of selling old cars, services, and parts, clients can encounter a selection of legendary Jaguar and Land Rover models through the Classic Drives portion of the new facility. 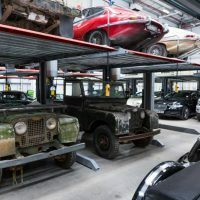 Two of the locations offered include the MIRA test facility (where Jag hot shoe Norman Dewis crashed and barrel rolled the only Jaguar XJ13 in existence back in 1971) and Eastnor Castle, where many of the vehicles were developed. There’s even a Jaguar Classic Challenge race series for pre-1966 Jaguar cars now underway. So, you know, if your mind “works” like mine, there’s another outlet for your Lotto winnings. 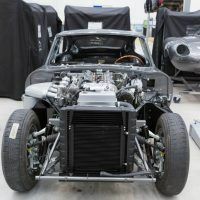 This five-round series starts at Donington Park and includes races at Brands Hatch, the Silverstone Classic in July, Oulton Park, and the season finale at September’s Spa Six-Hours meeting in Belgium. And if you ball up your XKSS at Eau Rouge, well, that’s the way of it old chap. But not to worry! The boys back at the Coventry Works will see to your ride and make it right as rain. Safe as houses. Good as new. You lucky bloke. 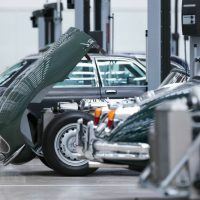 Photos & Source: Jaguar Land Rover. 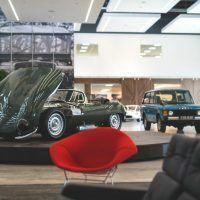 No Comments on "Jaguar Land Rover Classic Works: The UK’s Motor City"